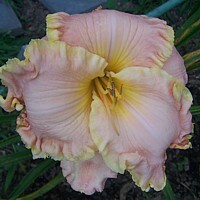 Breeding goal: A clear pink with heavy gold ruffles that resists northern winters. 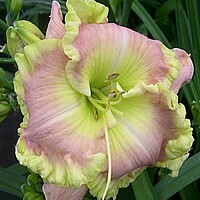 Expectations: These flowers are similar to each other, I expect little variation in their progeny. 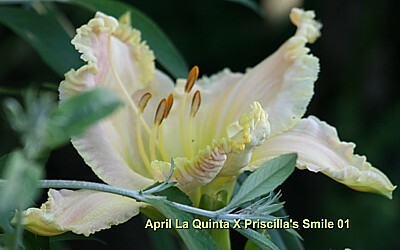 'April La Quinta' is a huge 7.5" monster but 'Priscilla's Smile' is only 5.5.